‘The Decline Of Western Civilization’ Coming To Blu-Ray and DVD!!! Beginning in 1981, director Penelope Spheeris debuted the first of three documentaries highlighting L.A.’s music scene in the 80’s. 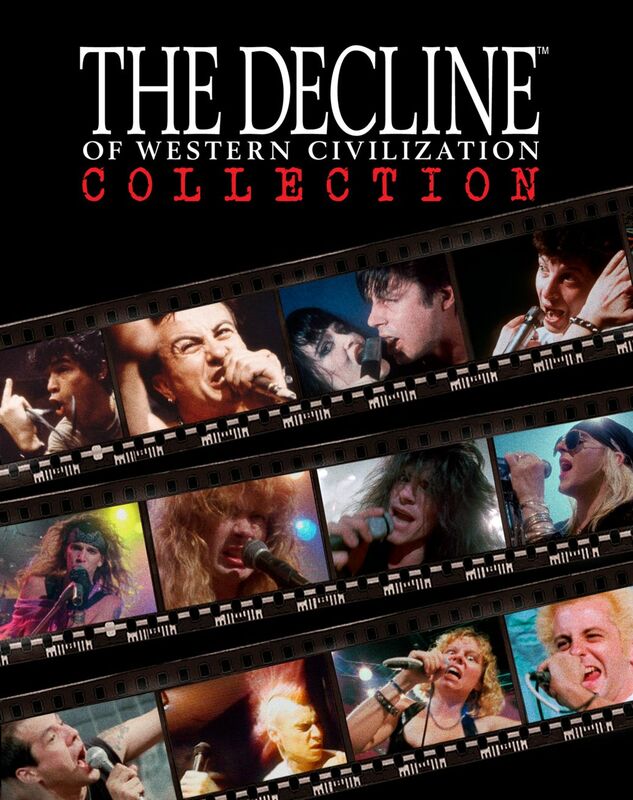 She followed that with two more music docs that comprise the entire ‘The Decline of Western Civilization‘ series, and now it’s coming to Blu-ray and DVD in a four-disc anthology for the first time on June 30th. One of my favorite pastimes is singing out loud while driving or riding in the car with someone. I imagine most of us at one point or another have belted out our favorite tunes by ourselves or with our friends in the car, no matter how short a trip. There’s just something fun about singing along with our favorite musicians at the top of our lungs. Perhaps the best scene dedicated to singing in the car with your friends was conceived by Penelope Spheeris who gave us the iconic and amazing documentaries The Decline of Western Civilization that took an in depth and personal look at the punk rock scene. If you haven’t seen these films, I highly suggest you do immediately.